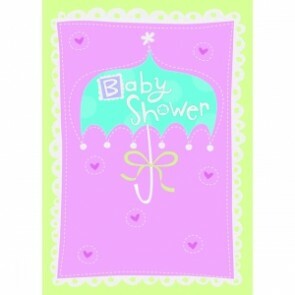 We really struggled trying to find quality baby shower cards in the UK, so we ended up importing most of the ones below from the USA. Well worth it - we think! 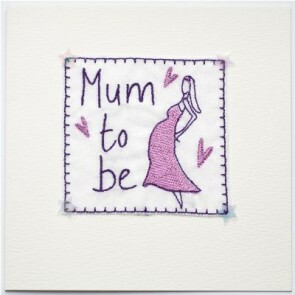 MumStuff are delighted to share this gorgeous, embroidered Mum to Be greeting card with you. This card is just gorgeous! With little glitter sprinkles on the flowers it will make any mum to be smile. This card says it all! Counting down the nine months of pregnancy with a pretty little lady 'raised' off the card wearing a sparkly silver necklace. 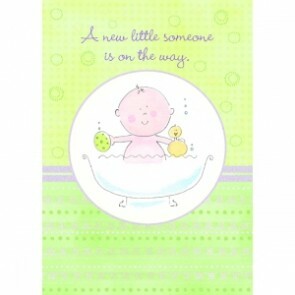 A lovely glittery card, perfect for mum to be at her Baby Shower.